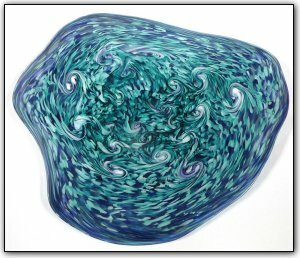 This wallbowl features shades of aquamarine and purple, with white swirls adding a mesmerizing effect. Make sure to zoom in to see just how deep and luscious the colors are, and the way they interact with each other. So amazing!